Livestock grazing is the largest land use on the planet. Because most grazing lands are not suitable for crop production, they are often referred to as “marginal.” These marginal areas, however, are critical to the health of both ecosystems and people. Livestock systems are integral to economic activity in developed and developing economies alike. Roughly 800 million people worldwide depend on livestock that graze on natural vegetation for their food and economic security. Our changing climate is bringing warmer temperatures and increasingly variable rainfall patterns to many of the world’s pasturelands. In dry grazing areas, such changes in precipitation are estimated to threaten the health and livelihoods of millions of people. 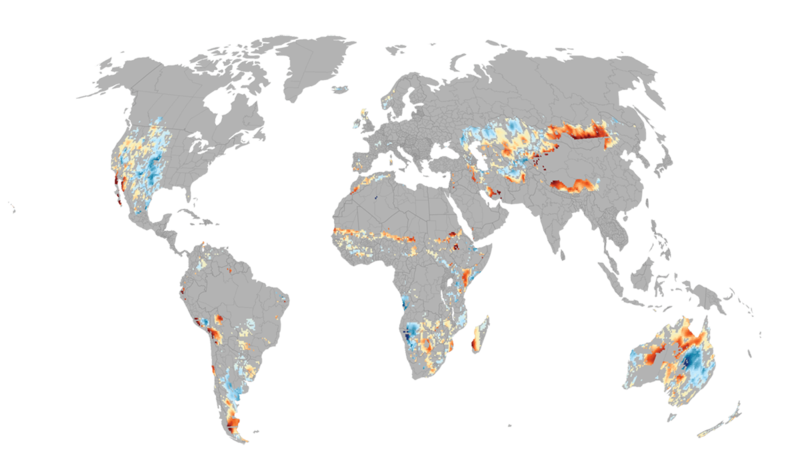 Many places are seeing more frequent or prolonged droughts, unusually intense rainfalls, or changes in the timing of significant rainfall over the course of the year. As a result, the ability of the world’s pastures to support grazing livestock is at risk. It’s crucial to understand how changing rainfall patterns will affect the extent and quality of the world’s grazing lands. This report considers the role of livestock grazing in maintaining food security, the regions likely to be most vulnerable to changing rainfall patterns, and strategies for addressing climate change-related risks. The term “grazing lands” refers to open shrublands or rangelands that are used as pasture. (These lands are not used continuously throughout the year, and they may have other uses; they are often used by wildlife as well.) The scope of the report is limited to open lands where beef is produced, although these areas overlap greatly with those used to raise dairy cows, goats, sheep, and other livestock. Livestock production in the developing world is small when compared to total global food production, but it is vital to the food security and income of nearly a billion people. Figures show percentages of global ice-free land area, categorized by the predominant human use; these fractions are not equivalent to land cover type, as almost all land area on earth has multiple human and nonhuman uses. A key threat to food security is the projected increase in meat consumption—and its attendant demand for ever more animal feed crops—over the coming decades. This is, to be sure, a critical threat to food system sustainability. But it’s equally important to understand the central role of livestock in the livelihoods of people in the world’s most food-insecure areas. For many populations, livestock is a primary source of nutrition, and not simply a source of calories. Especially for such vulnerable groups as pregnant women and children under 5, livestock is an indispensable source of protein and micronutrients. Over the past several centuries, we have seen an accelerating trend: wetter and humid areas formerly used to graze animals being tilled under for croplands. 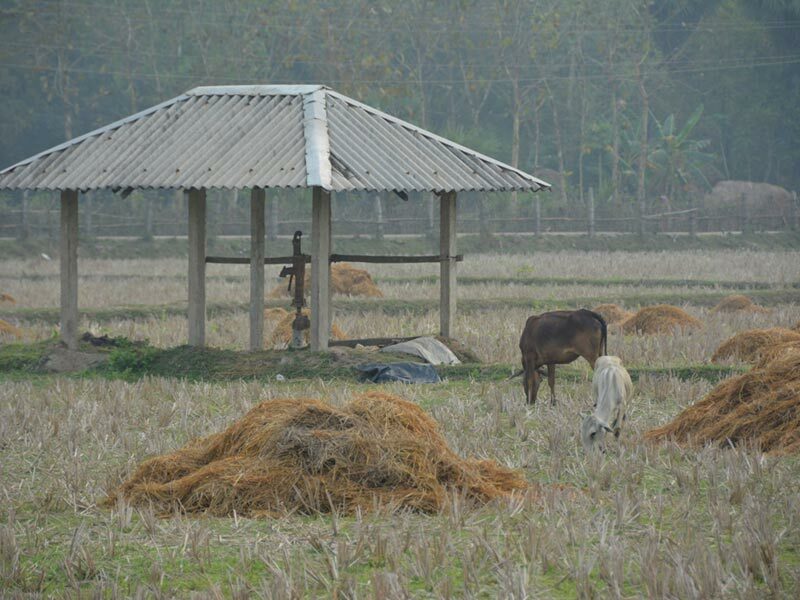 Humid grazing lands are the most productive, but a third to half of them are now used for farming, while a small portion (1-3 percent) have been converted for human settlements. Today grazing lands are most common in drier landscapes outside the tropics, and two thirds of them are in developing countries. Eighty percent of the world’s grazing lands are open lands—that is, pastures devoid of forests or dense human settlement. These savannas, prairies, and shrublands constitute the most extensive land use system on earth. They provide the world with below-ground carbon storage, habitat for diverse plants and wildlife, and sufficient water. While the world’s dry and open grass- and shrublands don’t easily support high-yield crops, these ecosystems have evolved with large grazing mammals. The cellulose in their grasses is digestible only by ruminants; they convert energy from sunlight into plants that grazers can eat, but people can’t. Across the immense sweep of the world’s pastures, the purpose of raising livestock varies. Some graziers keep livestock primarily as a source of income, while for others it is a predominant food source and an integral part of their culture. It should be noted, too, that the effects of climate change are not uniformly distributed. The risks associated with changing weather patterns may have a larger impact on food security in some places than in others. Where is livestock grazing most important? This map depicts areas of the world where livestock grazing is likely to be important for either local food security or economic production. “Important for local food security” = regions with high pasture area, but low market influence (market access/personal purchasing power). “Not important for food security” = regions with low pasture area as well as low market influence. “Important for economy” = regions with high pasture area and high market influence. “Not important for local food security or economy” = regions with low pasture area and high market influence. 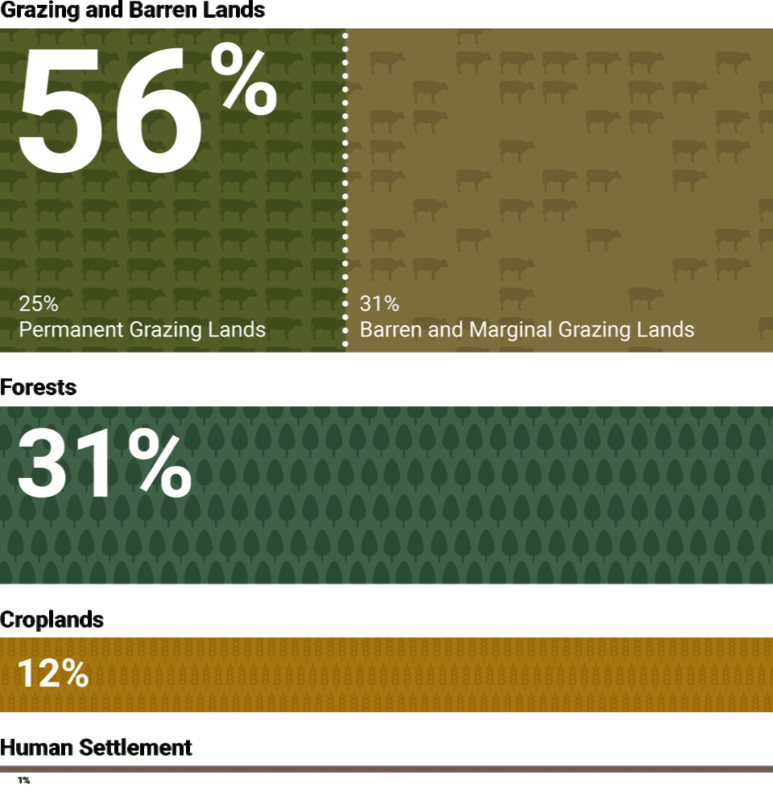 The proportion of pasture area indicates the relative importance of livestock to the agricultural production system: The higher the percentage, the more important livestock is to a region. But is livestock important for food availability, economic production, or both? The influence of markets tells us more about the role of livestock systems in an area. How accessible is a region to larger markets for agricultural goods? In addition, how much purchasing power does an average person have in a region? The lower market access and per-person purchasing power are, the more important local agricultural production may be to food availability. Rainfall patterns have become more variable in half of the world’s open grazing lands. Climate change-driven increases in the variability of precipitation may render some vulnerable rangeland regions poorly suited to livestock intensification—a practice that is increasingly being adopted as a strategy to meet local, regional, and global food security needs. 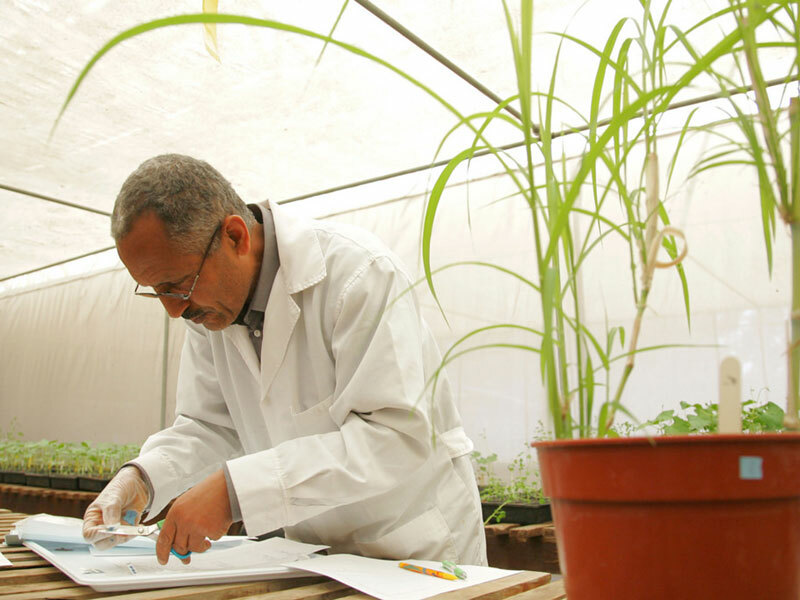 While these endeavors may increase food production significantly, they may also harm grasslands or pose economic and livelihood risks for pastoralists and ranchers. Two rainfall simulations. Rainfall between years—from one year to the next—has become more variable in 49 percent of the world’s rangelands (red line), while in 31 percent of the world, rainfall patterns have actually become less variable (green line) over the last century. The availability of water and forage for grazing is affected not only by how much rain a region receives each year, but how that rainfall is concentrated within a season. Within individual years, the pattern of rainfall has generally become more concentrated in one part of the growing season in 45 percent of the world’s grazing lands. Grazing lands around the world are primarily arid or semi-arid. 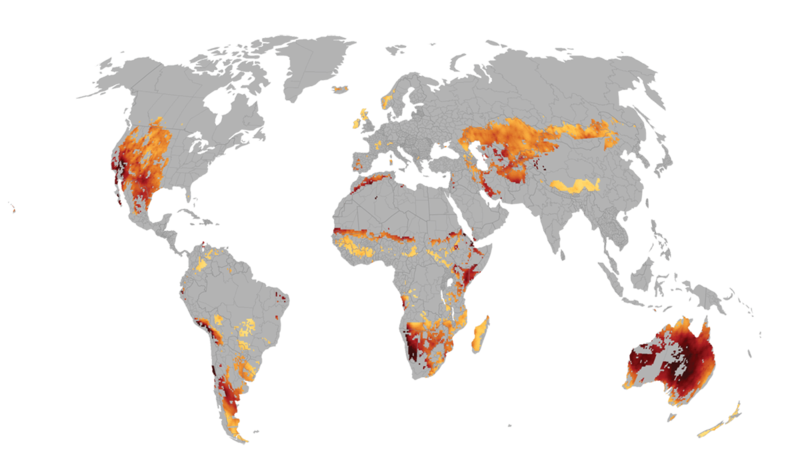 Because of their water-limited status, these areas have been passed up as places to grow crops, serve as urban centers, or be designated as biosphere reserves. 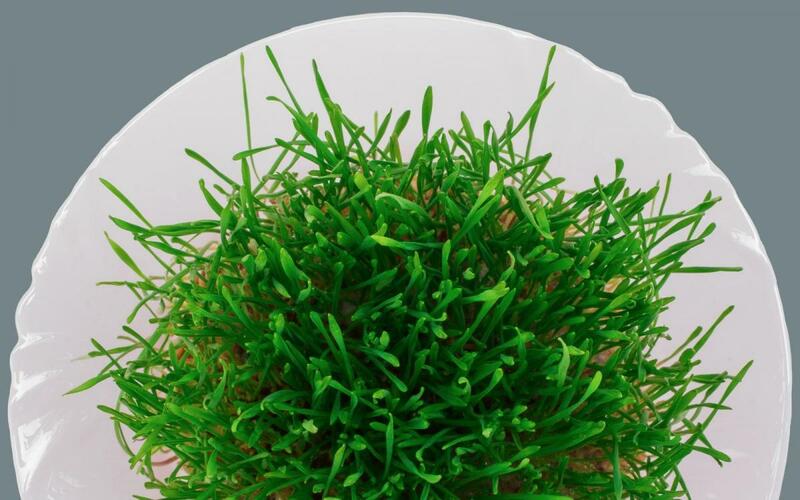 They are dominated by grasses, shrubs, or barren ground. The amount and timing of precipitation drives primary productivity in most global grazing lands. Forage growth is highly climate-dependent and is threatened by changes in climate variability. Furthermore, large swings in the amount of precipitation received from year to year can lead to periodic livestock population crashes. Higher year-to-year variability limits the health and productivity of rangelands. Areas where rainfall is more stable support the highest cattle densities. Where rainfall is highly variable, cattle densities are low. In much of the world’s open rangeland, livestock on pasture is one of the few possible land uses. The three maps above illustrate how the distribution of cattle on the landscape is related to precipitation variability, here measured as the between-year coefficient of variation of precipitation (CVP). Increases in CVP, especially in arid grazing lands, may lead to increased risk to livestock production. However, CVP trends should be interpreted with caution, as the actual changes in risk depend on the starting conditions and on-the-ground realities. The ability to take advantage of the changing suitability of grazing lands may be practically limited, and the suitability for intensified natural grazing may need to be assessed regionally or locally. As climate change affects rainfall patterns, livestock management must also change. Many modified grazing management practices—including rotational grazing, fattening cattle outside of arid areas, the utilization of crop residues, and early offtake—can help confer resilience. Some Australian graziers have had success buffering against a variable climate by keeping livestock numbers relatively low and adjusting stocking densities rapidly depending on feed availability and a quick response to drought. The nutritive value of some pasturelands can be augmented by sowing them with desirable fodder species. Testing in some Latin American grazing systems has shown that having a “fodder bank” can provide strategic feed resources that can be used in times of nutritional stress, which helps to manage increasing weather and climate risk. The ability to migrate livestock over long distances allows for greater access to resources in times of stress. Traditional herding lifestyles are threatened by increased globalization as well as changes in landownership and governance. Decreased mobility amplifies the risk imposed by a changing climate. 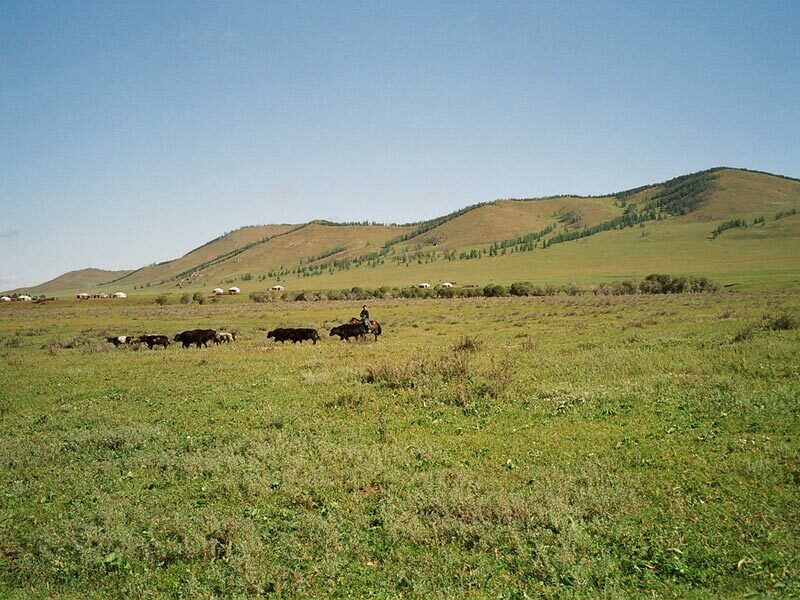 However, Mongolian pastoralists are now being helped by their government and development programs to recreate old herd movement patterns that in the past made grazing livelihoods successful in this highly variable environment. A change in breeds may help livestock keepers cope with a changing climate. Sometimes the change is to a hardier breed of the same species, and sometimes livestock holders have switched to other ruminants altogether. 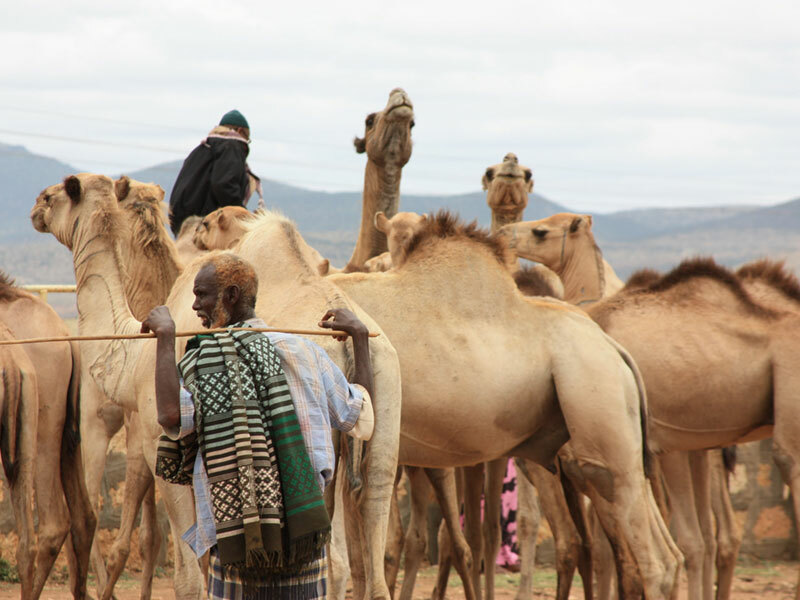 Graziers in northern Kenya adapted to reduced rainfall and increased drought by raising camels instead of cattle. Kenya’s camel population has nearly quadrupled over the past 20 years. Writing and editorial review: Barrett Colombo, Lindsey Sloat, Paul West, Peder Engstrom, Philip Thornton, James Gerber. The following people provided research and helpful review: Anna K. Gilgen, Mohamed Abdi. Allred, Brady W., John Derek Scasta, Torre J. Hovick, Samuel D. Fuhlendorf, and Robert G. Hamilton. 2014. “Spatial Heterogeneity Stabilizes Livestock Productivity in a Changing Climate.” Agriculture, Ecosystems & Environment 193 (August):37–41. “A Synthesis of Recent Global Change Research on Pasture and Rangeland Production: Reduced Uncertainties and Their Management Implications.” n.d. Accessed June 5, 2017. Boone, R. G., Richard T. Conant, Jason Sircely, Philip K. Thornton, Mario Herrero. 2018. “Climate Change Impacts on Global Rangeland Ecosystem Services.” Global Change Biology 24: 1382-1393. Campbell, B. D., and Stafford Smith, D.M. 2000. “A Synthesis of Recent Global Change Research on Pasture and Rangeland Production: Reduced Uncertainties and Their Management Implications.” Agriculture, Ecosystems & Environment 82 (1-3):39–55. “FAOSTAT.” n.d. Accessed January 1, 2018. Foley, Jonathan A., Navin Ramankutty, Kate A. Brauman, Emily S. Cassidy, James S. Gerber, Matt Johnston, Nathaniel D. Mueller, et al. 2011. “Solutions for a Cultivated Planet.” Nature 478 (7369):337–42. Galvin, Kathleen A., Reid, Robin S., Behnke Jr., Roy H., and Hobbs, N. Thompson, eds. 2008. Fragmentation in Semi-Arid and Arid Landscapes. Springer. Gerber, P. J. FAO Rome (Italy) Animal Production and Health Div eng. H. Steinfeld, B. Henderson, A. Mottet, C. Opio, J. Dijkman, A. Falcucci, and G. Tempio. 2013. “Tackling Climate Change through Livestock.” Rome: Food and Agriculture Organization of the United Nations (FAO). Gibbs, H. K., A. S. Ruesch, F. Achard, M. K. Clayton, P. Holmgren, N. Ramankutty, and J. A. Foley. 2010. “Tropical Forests Were the Primary Sources of New Agricultural Land in the 1980s and 1990s.” Proceedings of the National Academy of Sciences 107 (38):16732–37. Greg McKeon. 2006. “Living in a Variable Climate.” Article prepared for the 2006 Australia State of the Environment Committee. Canberra: Department of Environment and Heritage. Herrero, Mario, Petr Havlík, Hugo Valin, An Notenbaert, Mariana C. Rufino, Philip K. Thornton, Michael Blümmel, Franz Weiss, Delia Grace, and Michael Obersteiner. 2013. “Biomass Use, Production, Feed Efficiencies, and Greenhouse Gas Emissions from Global Livestock Systems.” Proceedings of the National Academy of Sciences 110 (52):20888–93. Hogy, Petra, and Fangmeier, Andreas. 2008. “Effects of Elevated Atmospheric CO2 on Grain Quality of Wheat – ScienceDirect.” Journal of Cereal Science 48 (3):580–91. Landsberg, R. G., A. J. Ash, R. K. Shepherd, and G. M. Mckeon. 1998. “Learning From History to Survive in the Future: Management Evolution on Trafalgar Station, North-East Queensland.” The Rangeland Journal 20 (1):104–18. “Livestock & Climate Change.” 2016. Rome: Food and Agriculture Organization of the United Nations. McKune, Sarah L., Erica C. Borresen, Alyson G. Young, Thérèse D Auria Ryley, Sandra L. Russo, Astou Diao Camara, Meghan Coleman, and Elizabeth P. Ryan. 2015. “Climate Change through a Gendered Lens: Examining Livestock Holder Food Security.” Global Food Security 6 (October):1–8. Nuwer, Rachel. n.d. “What Would Happen If the World Suddenly Went Vegetarian?” Accessed June 19, 2017. O’Mara, F. P. 2012. “The Role of Grasslands in Food Security and Climate Change.” Annals of Botany 110 (6):1263–70. Reynolds, Christopher, Les Crompton, and Jonathan Mills. 2010. “Livestock and Climate Change Impacts in the Developing World.” Outlook on Agriculture 39 (4):245–48. Robinson, Timothy P., Thornton, Phlip K., and Franceschini, Gianluca. 2011. “Global Livestock Production Systems.” Rome: Food and Agriculture Organization of the United Nations (FAO) and International Livestock Research Institute (ILRI). Thornton, Philip K., and Herrero, Mario. 2015. “Adapting to Climate Change in the Mixed Crop and Livestock Farming Systems in Sub-Saharan Africa | Nature Climate Change.” Nature Climate Change 5 (August):830–36. Thornton, Philip K., Mario Herrero, H. A. Freeman, A. M. Okeyo, E. Rege, Peter G. Jones, and J. J. McDermott. 2007. “Vulnerability, Climate Change and Livestock – Opportunities and Challenges for the Poor.” Journal of Semi-Arid Tropical Agricultural Research, December. Thornton, P. K., J. van de Steeg, A. Notenbaert, and M. Herrero. 2009. “The Impacts of Climate Change on Livestock and Livestock Systems in Developing Countries: A Review of What We Know and What We Need to Know.” Agricultural Systems 101 (3):113–27.